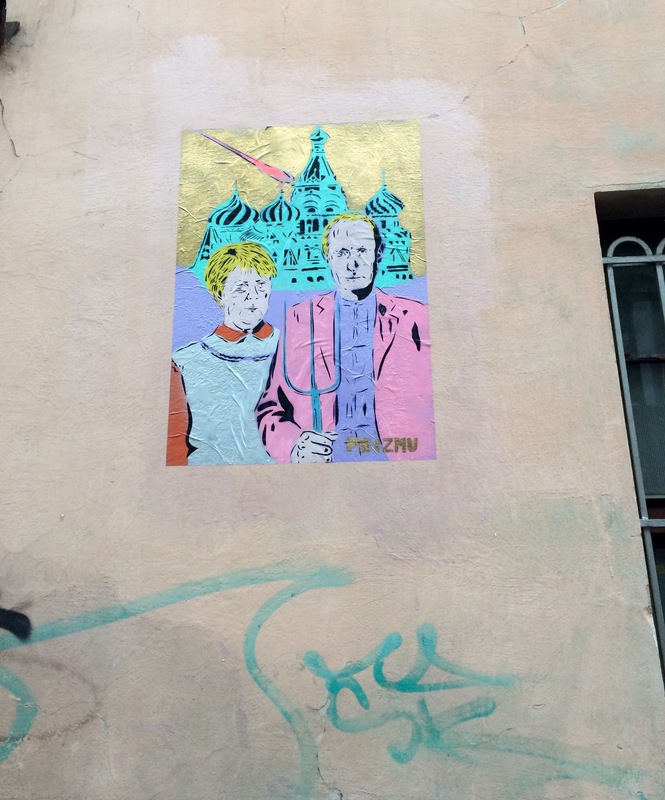 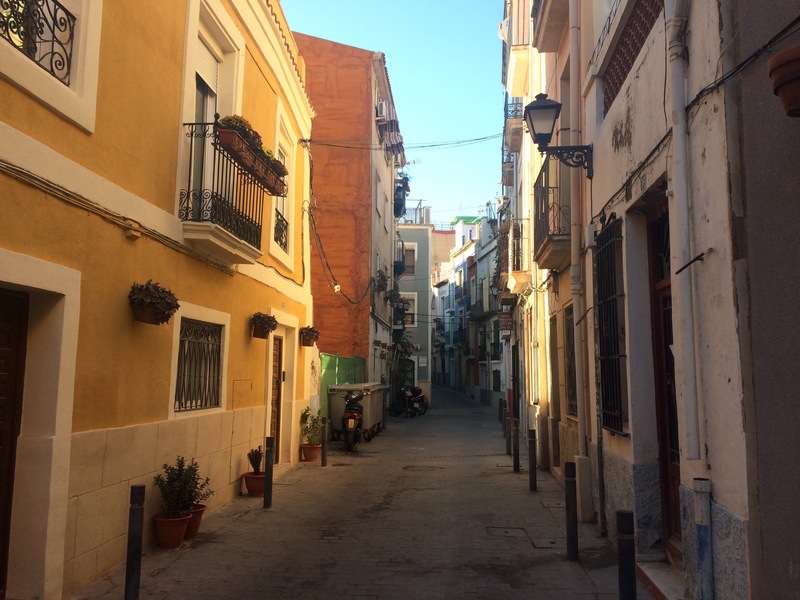 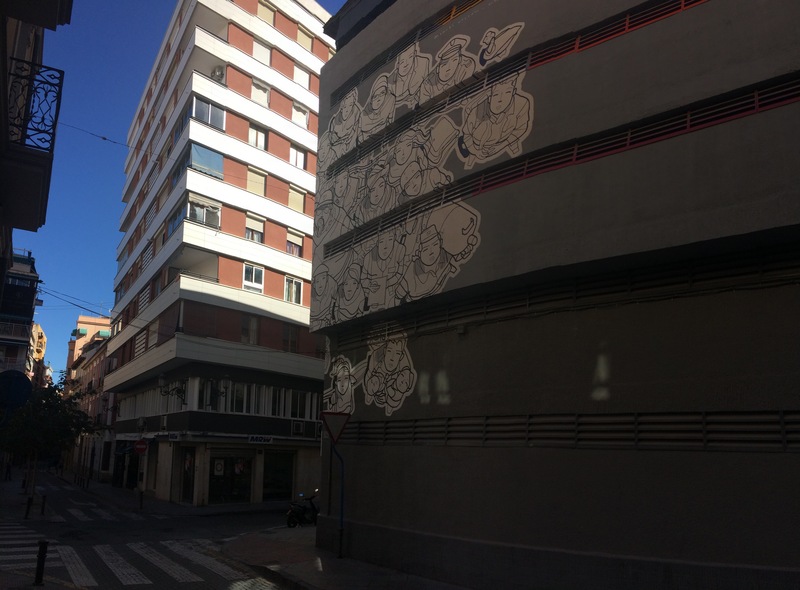 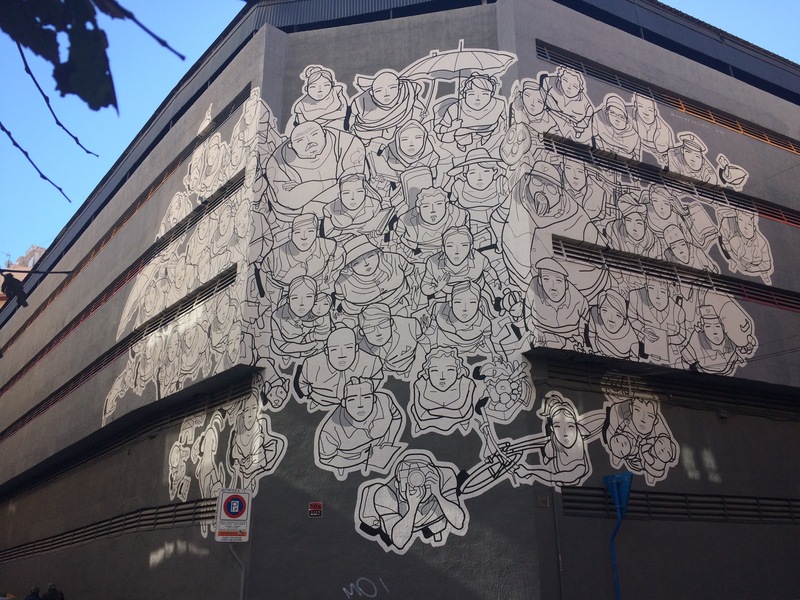 Here is another gallery full of little artworks found in the streets of beautiful Alicante, Spain. 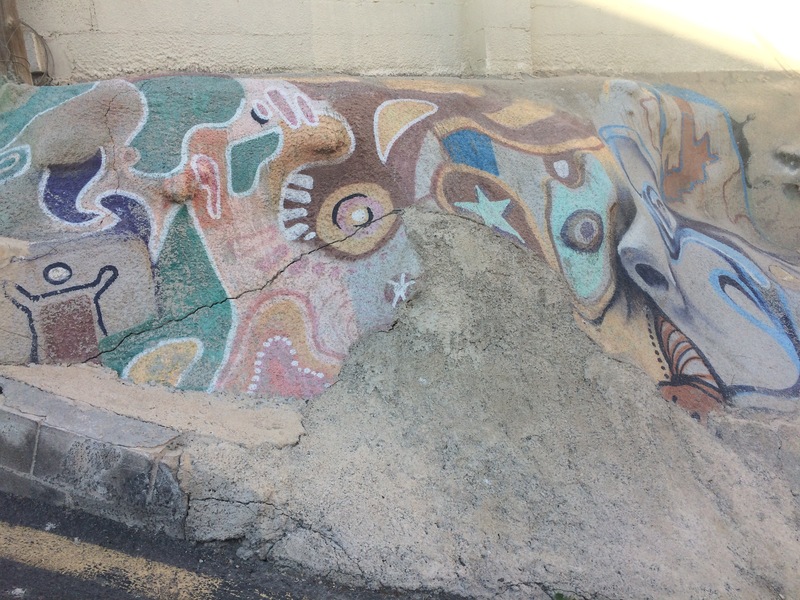 Somewhere in Casco Antiquo near Calle de Lucentum is a series of abstract pictures painted on these boulders. 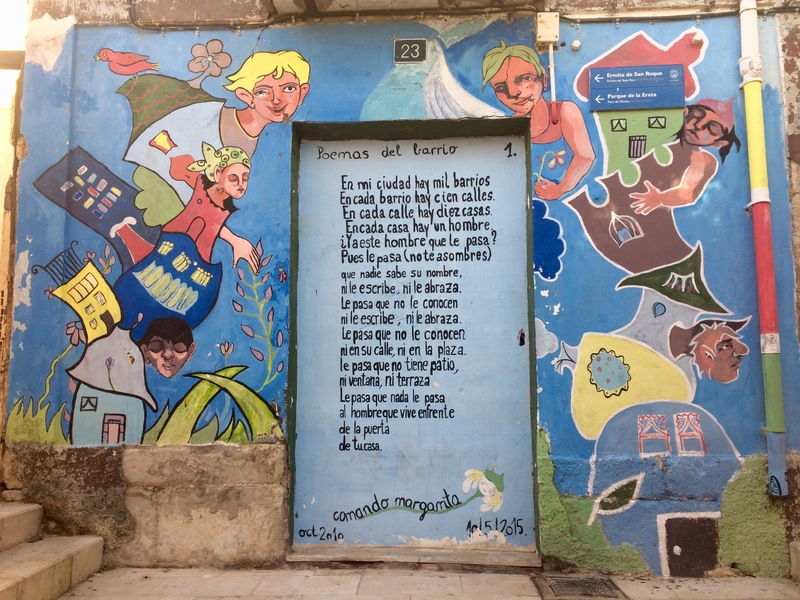 Poemas del barrio 1 and 6 found in the Barrio quarter of Alicante, Spain. 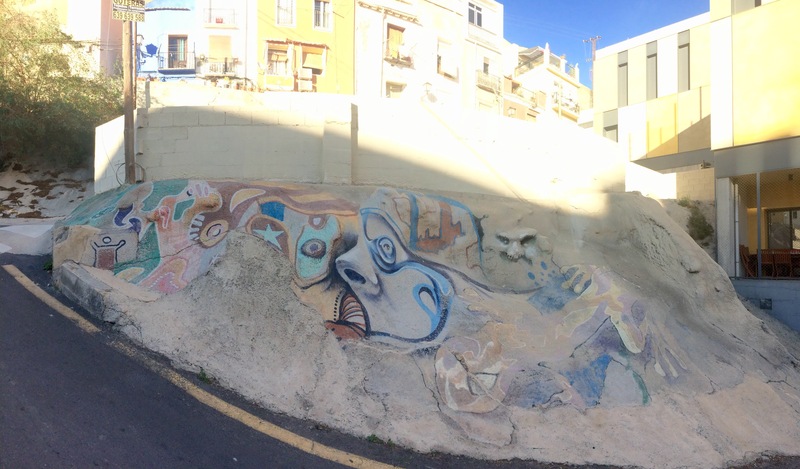 Unfortunately all the non-Spanish speakers (including me) can only appreciate the visual side of this artwork. 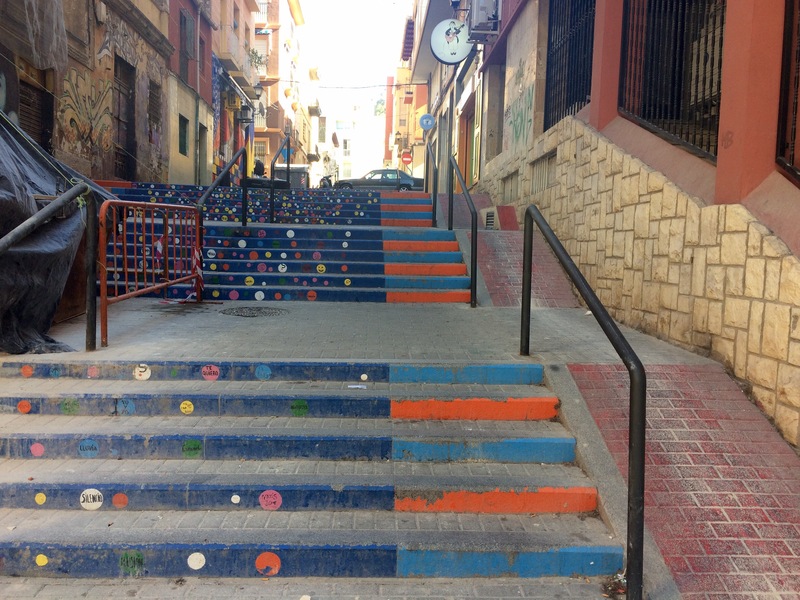 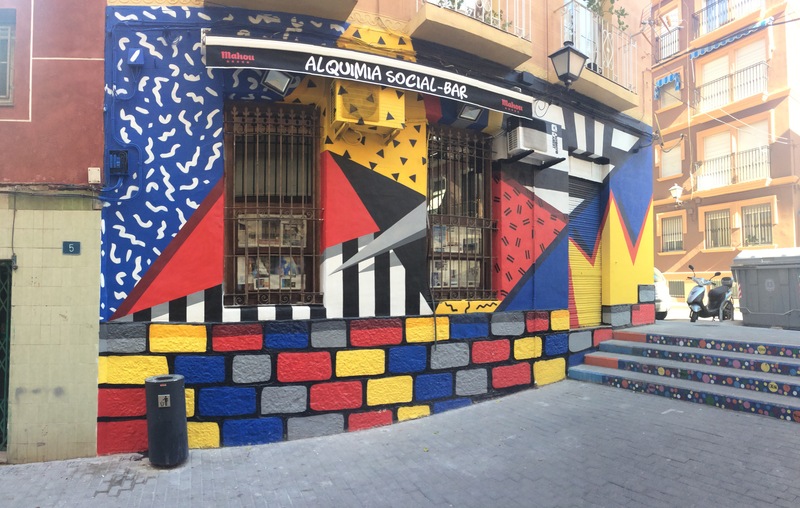 Colorful street art in Alicante, Spain that just makes you smile. 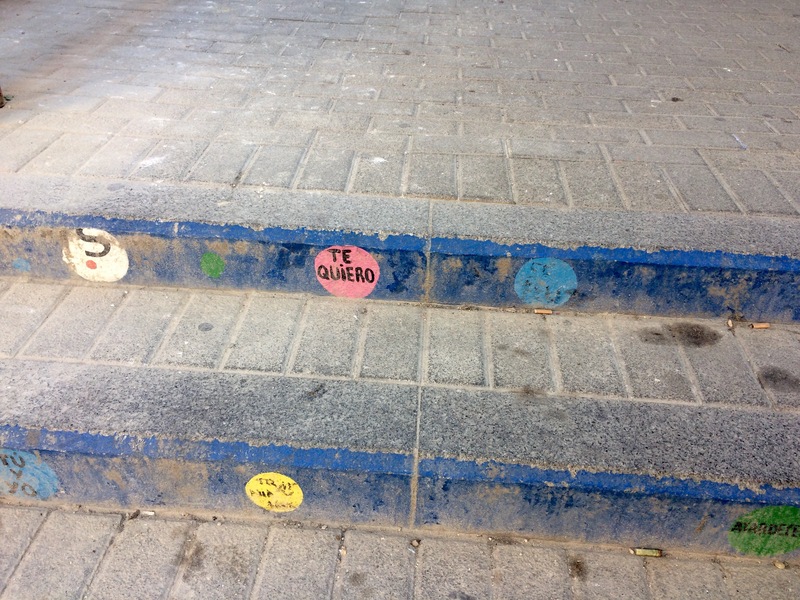 The stairs have random positive words written all over them by locals and tourists. 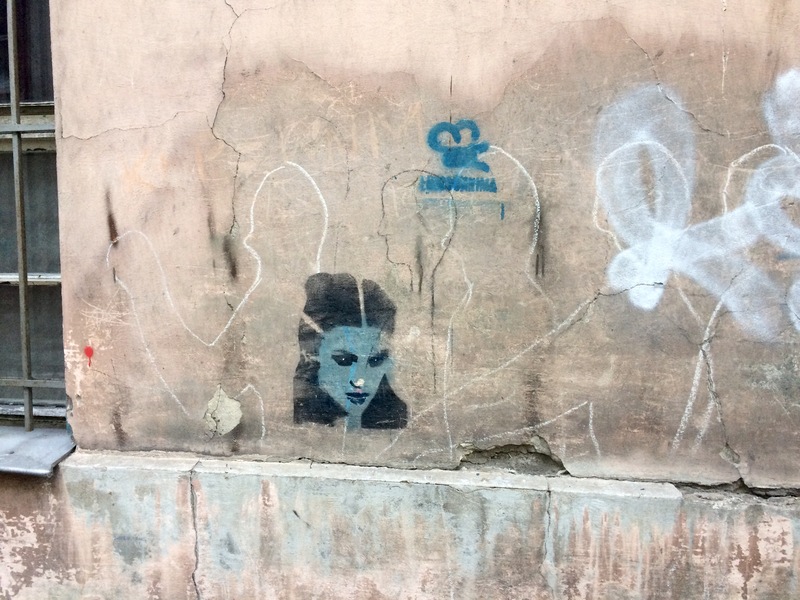 Here it says “Te quiero” – I love you. 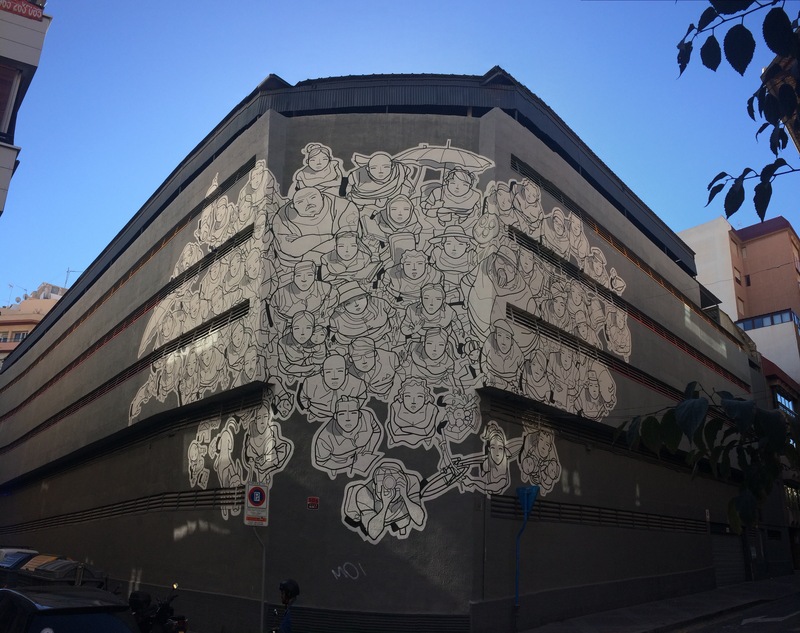 Amazing black-and-white mural by Manuel Gallon in the streets of Alicante, Spain. 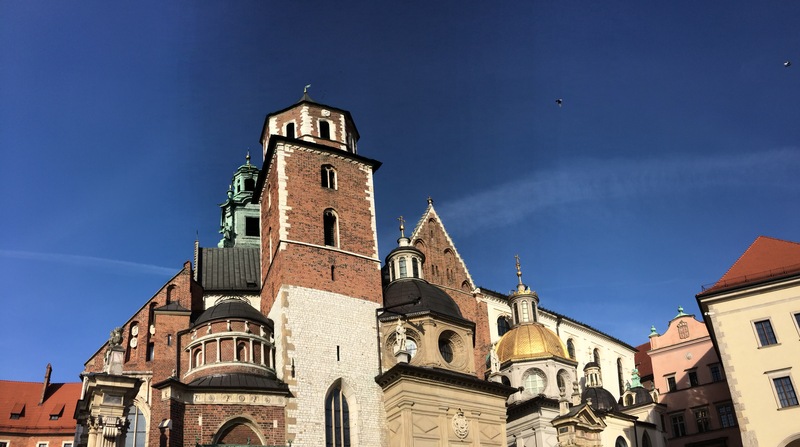 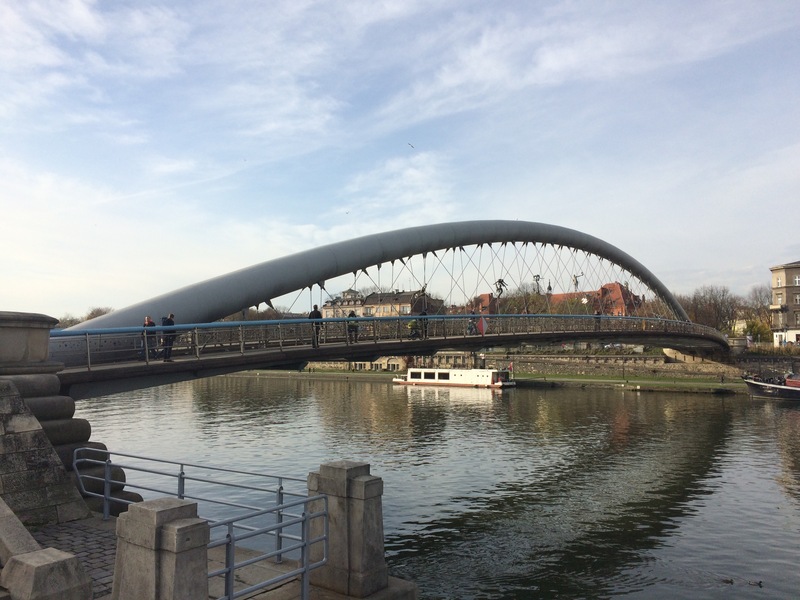 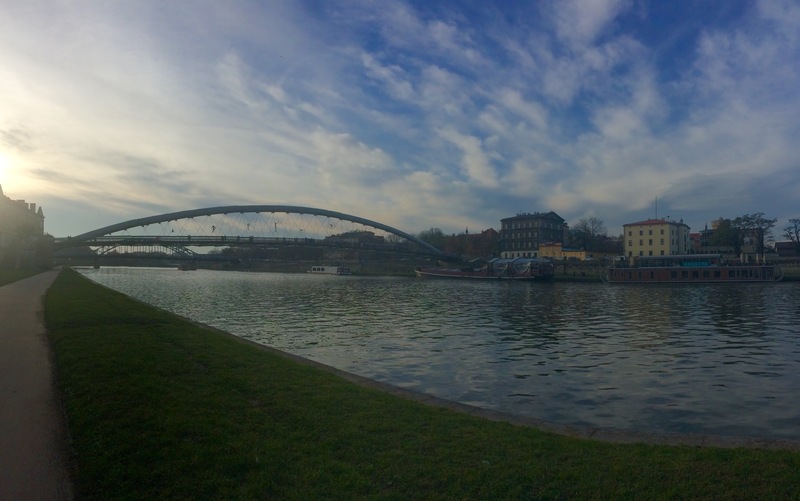 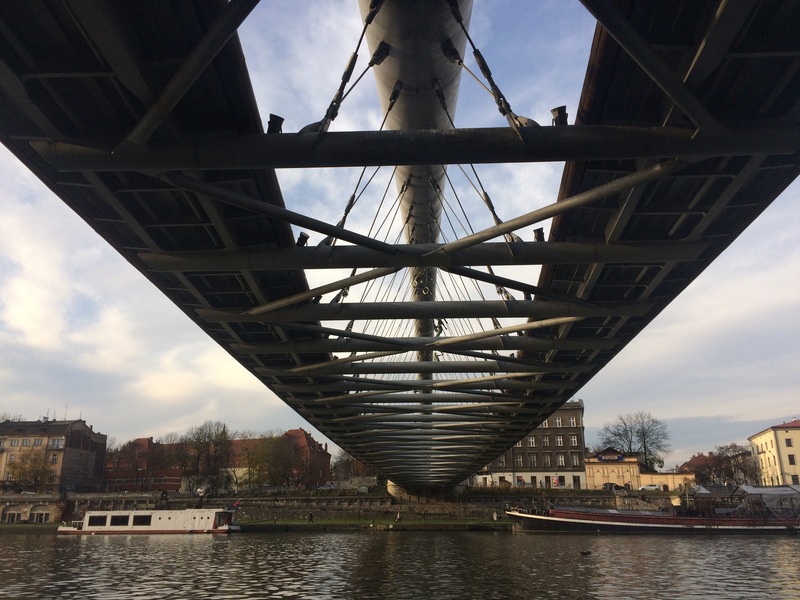 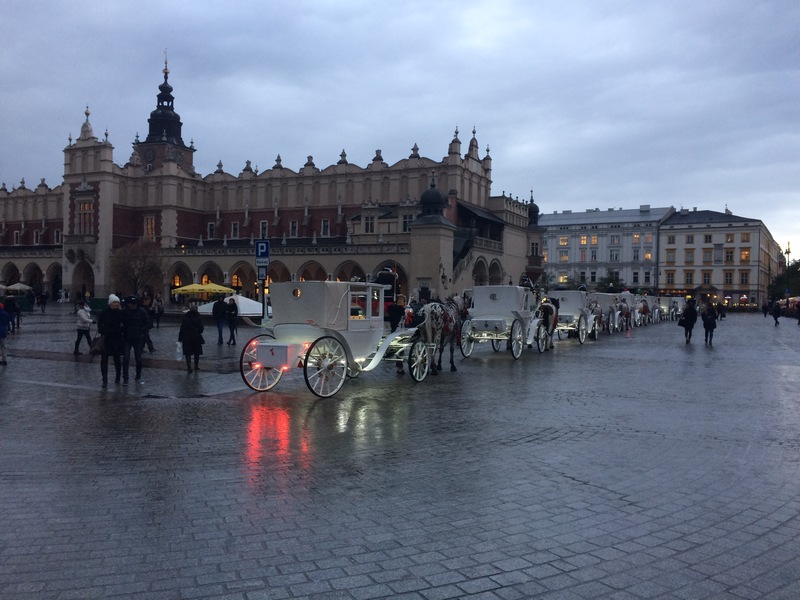 Last gallery full of photos from beautiful Krakow, Poland. 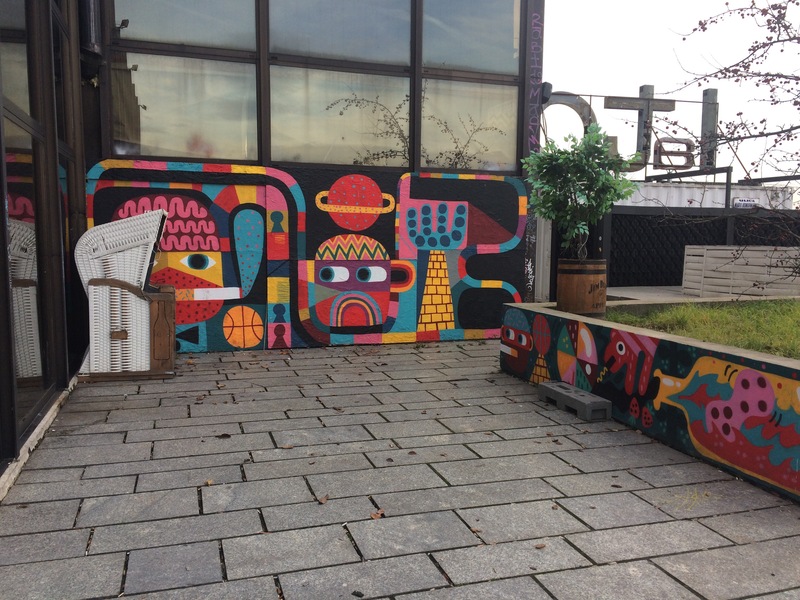 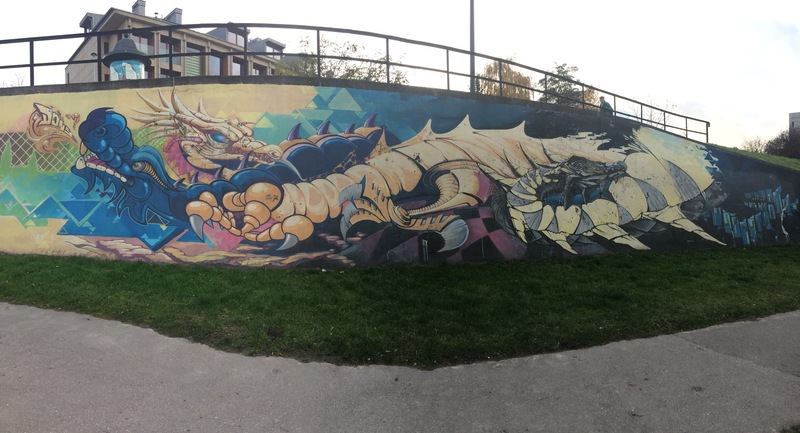 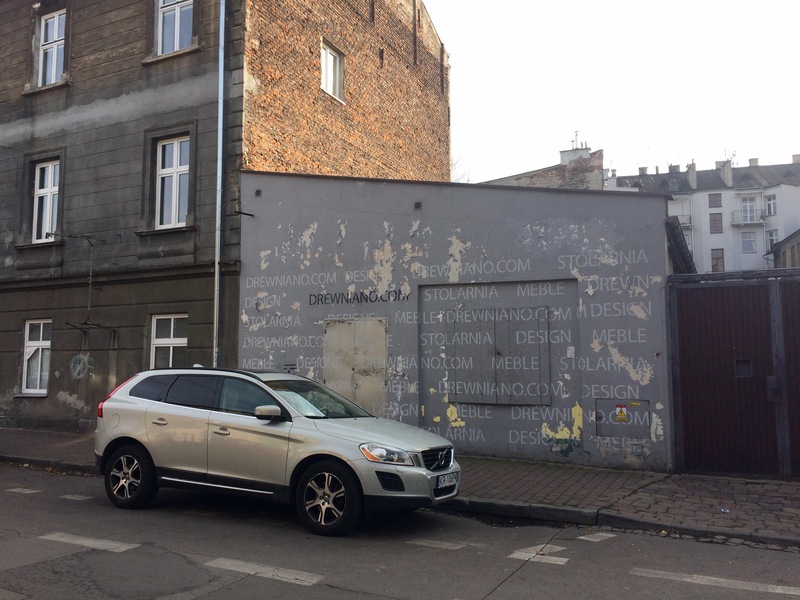 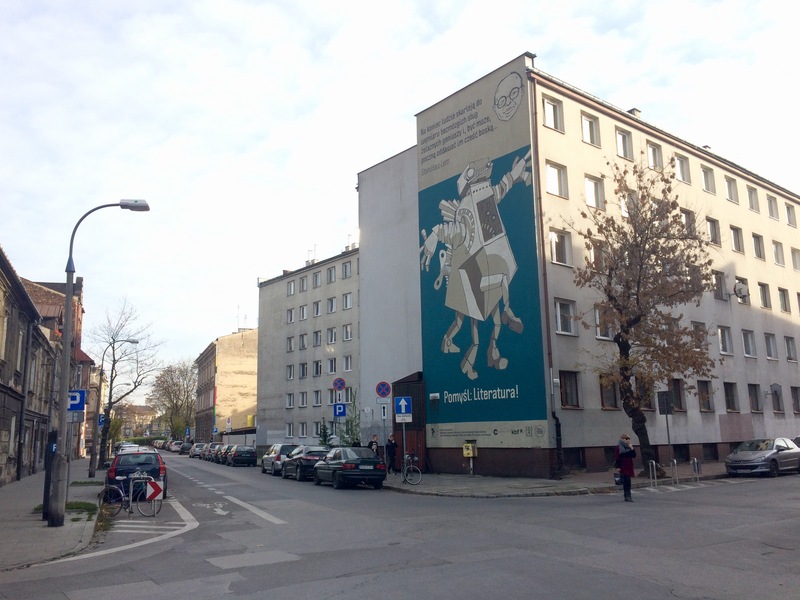 Two murals located near the Forum Hotel in Krakow, Poland. 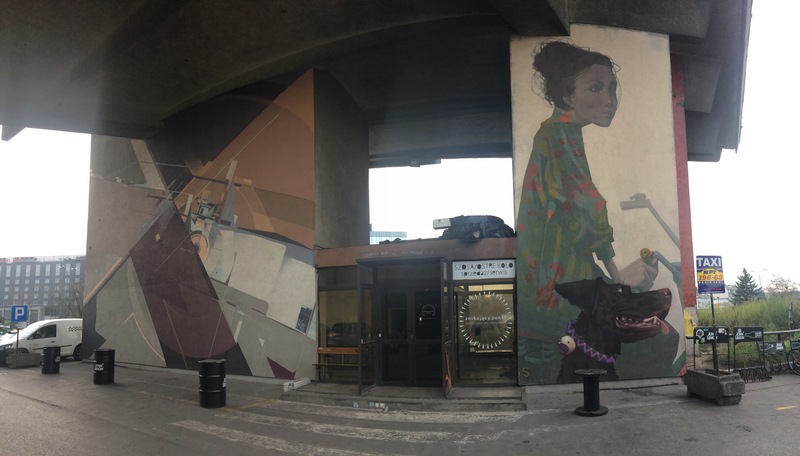 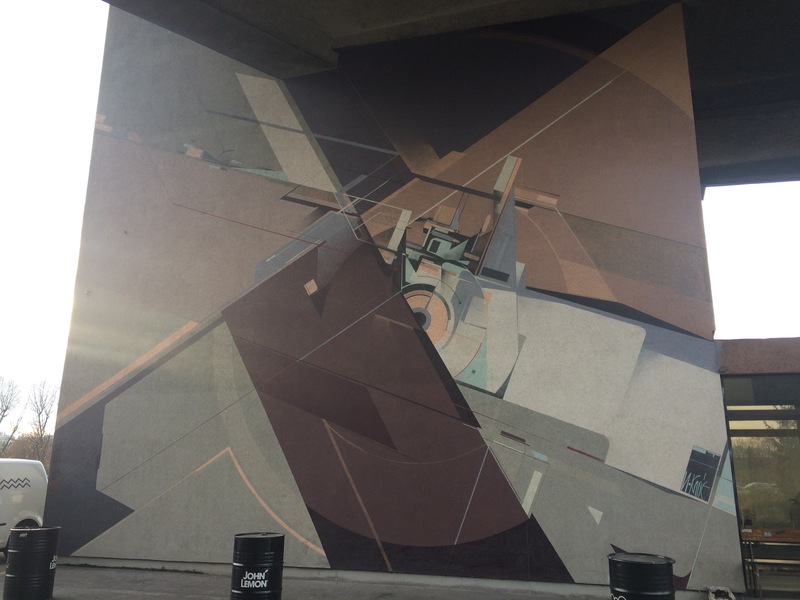 The one of the left (featuring geometric lines) is by artist NAWER and the other one (depicting a girl with her dog) is by Augustine Kofie. 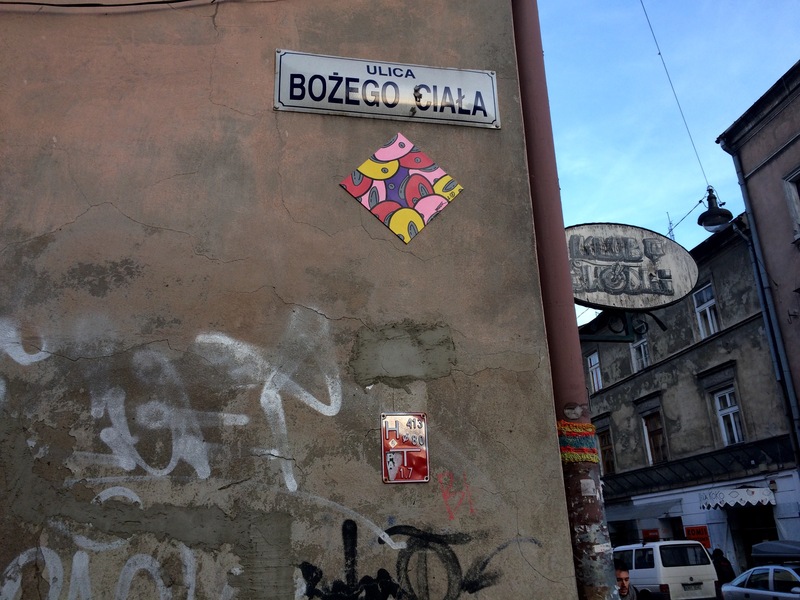 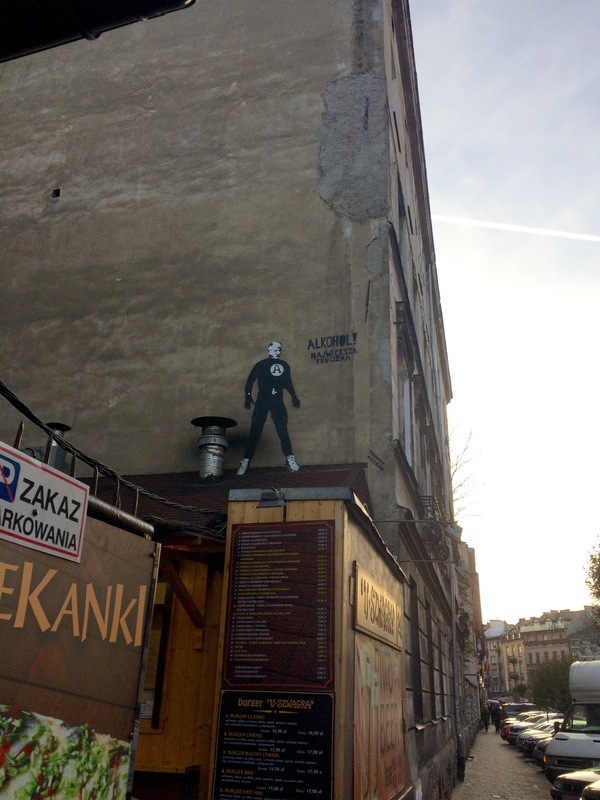 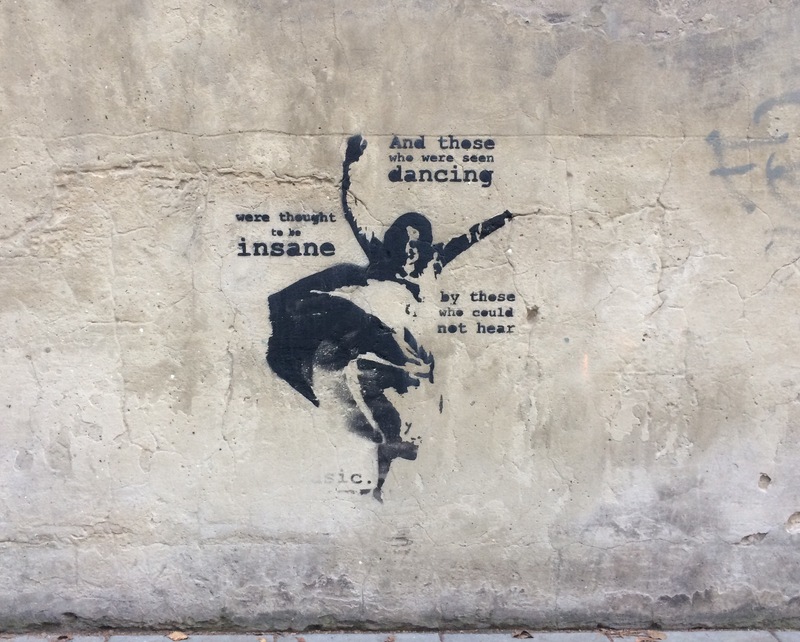 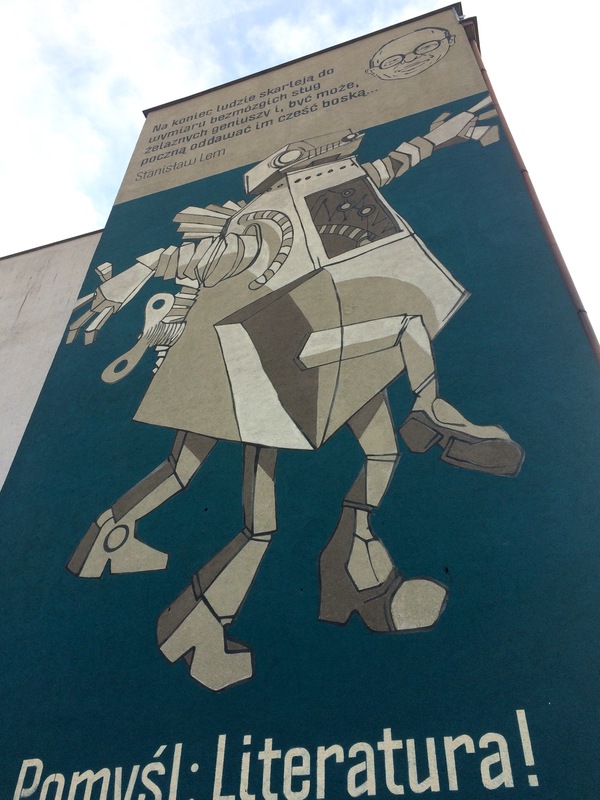 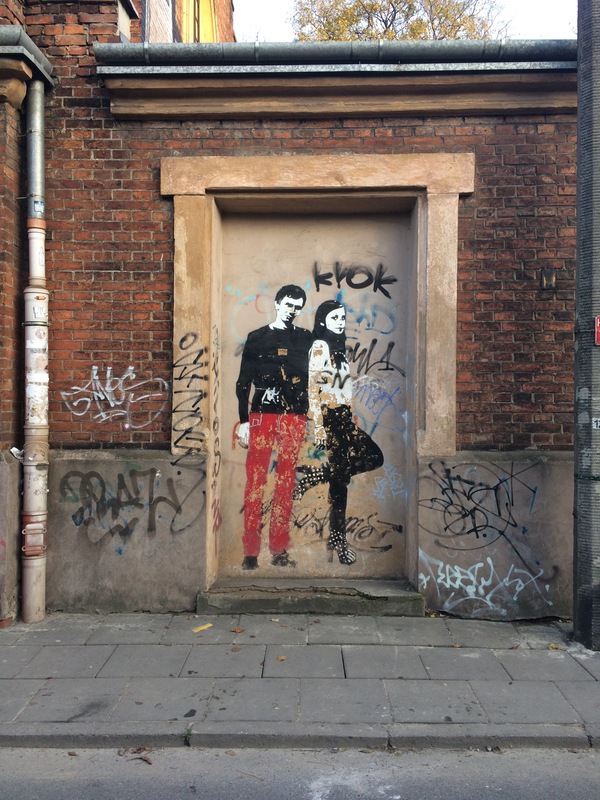 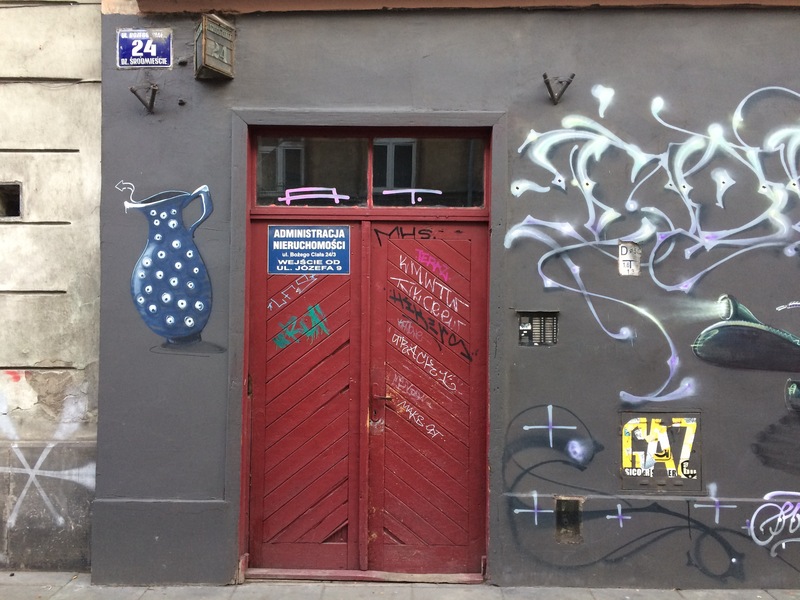 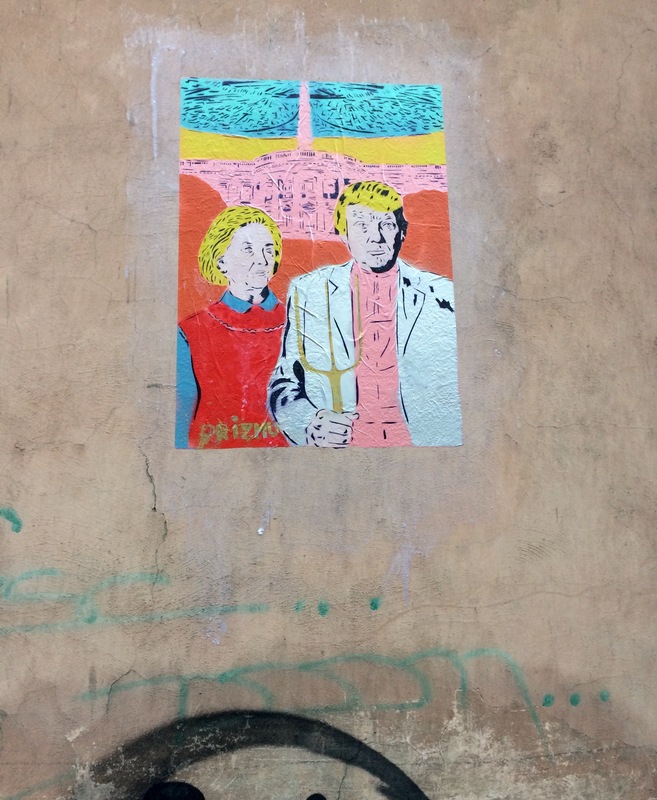 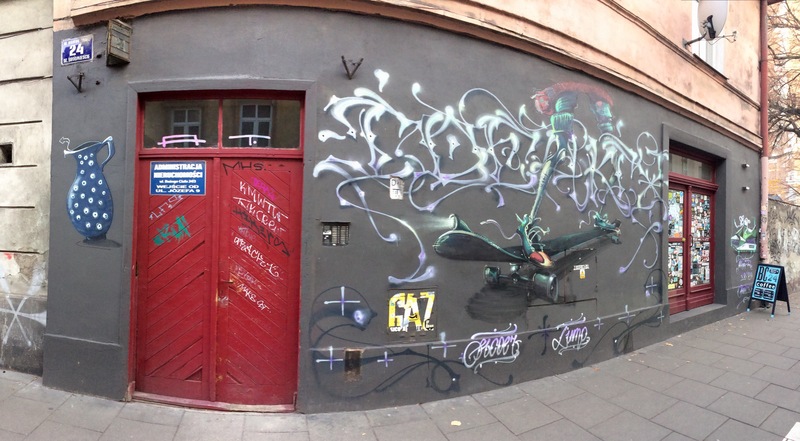 Krakow is full of little stencil street art, most of the photos were taken in the Jewish district. 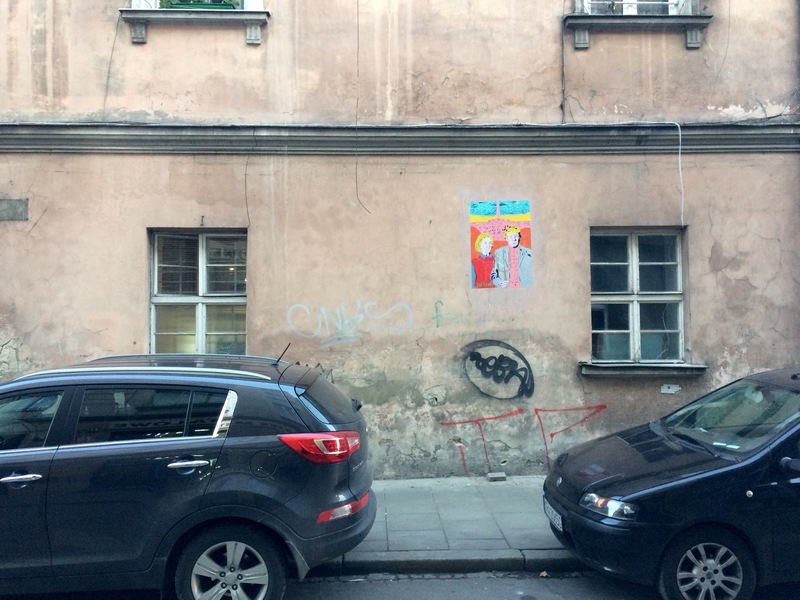 Photos from the streets of Krakow. 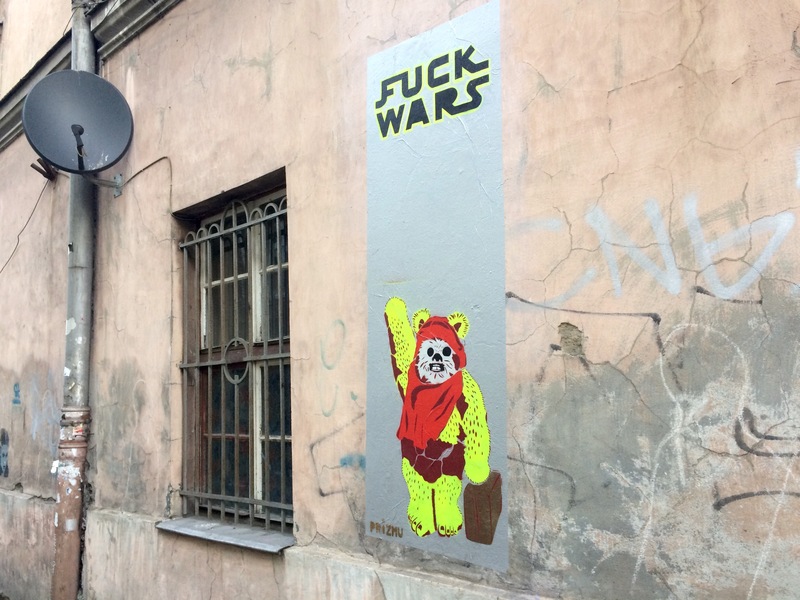 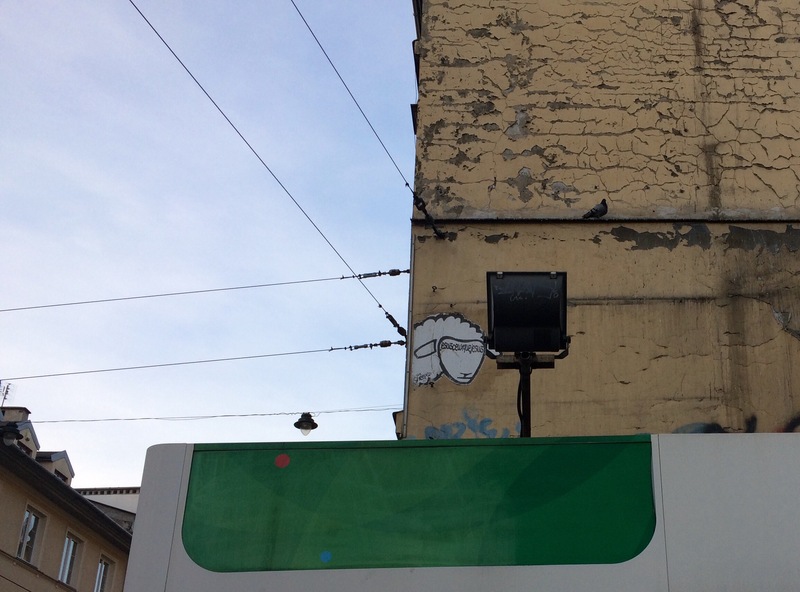 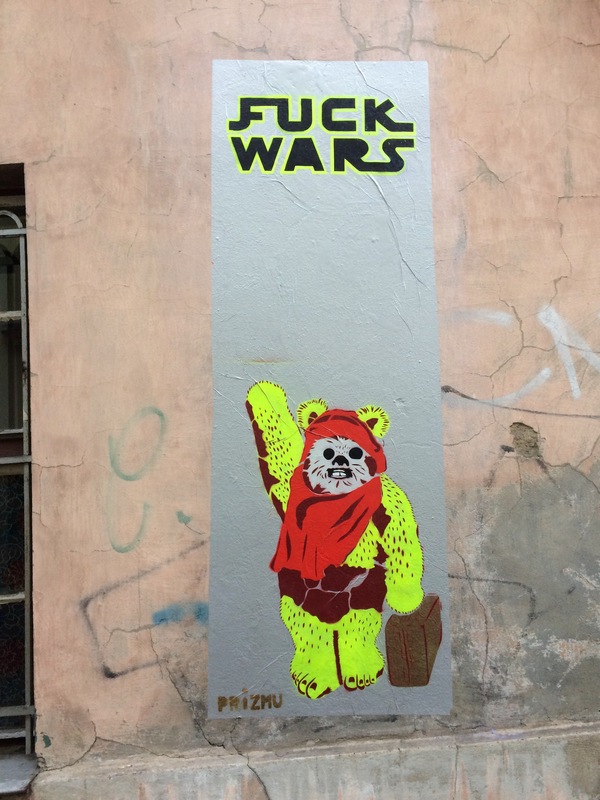 More street art from Krakow is coming up tomorrow.